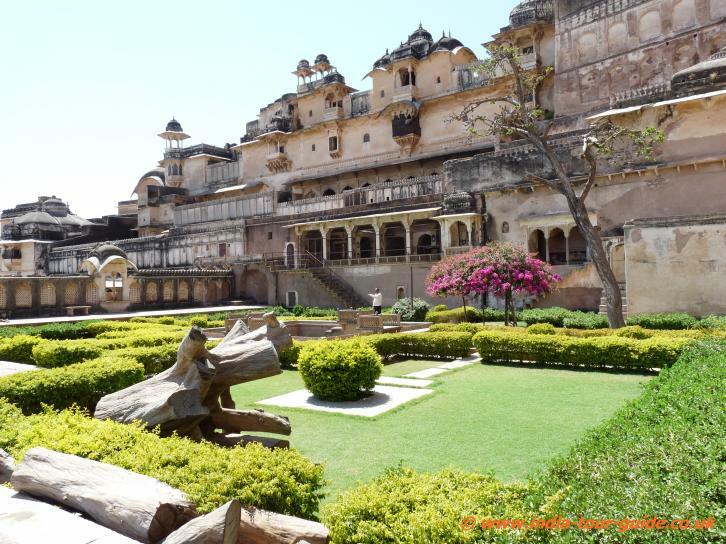 Built by Rao Ratan Singh, this palace is the most popular attractions of Bundi.is a masterpiece, a hidden gem in this small town. This massive palace was built by Rao Raja Ratan Singh Hada between 1607 A.D. to 1631 A.D. 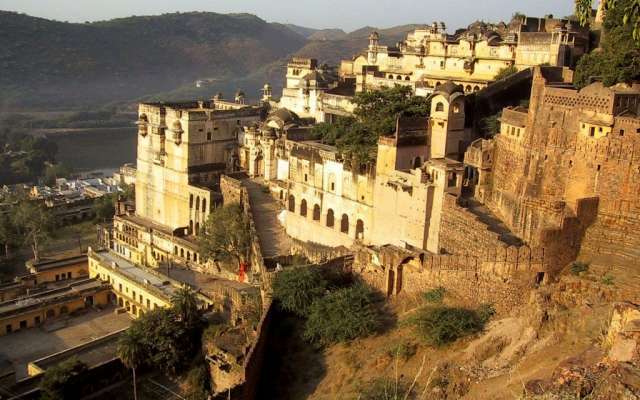 This palace is built over a side of the hill on the top of which is the Taragarh Fort. If you see the palace from the top, it looks like a hanging structure.The whole palace is an aggregation of separate palaces built by later rulers, but they are so perfect in harmony that it look like a fabulous conglomeration of palaces built over a hill.Once inside the palace’s Hathi Pol (Elephant Gate), climb the stairs to the Ratan Daulat or Diwan-e-Aam (Hall of Public Audience), with a white marble coronation throne. 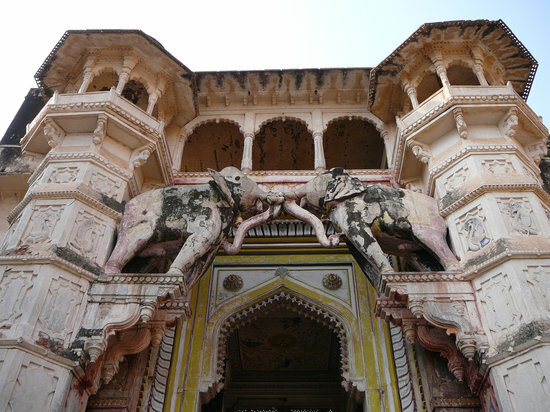 You then pass into the Chhatra Mahal, added by Rao Raja Chhatra Shabji in 1644, with some fine but rather weathered murals. 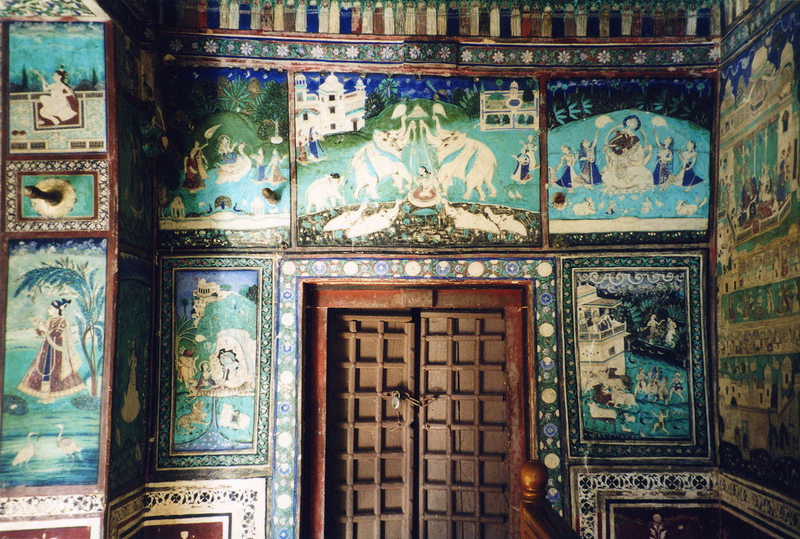 Stairs lead up to the Phool Mahal (1607), the murals of which include an immense royal procession, and then the Badal Mahal (Cloud Palace; also 1607), with Bundi’s very best murals, including a wonderful Chinese-inspired ceiling, divided into petal shapes and decorated with peacocks and Krishnas.